The League of Voluntary Hospitals and Homes of New York (LVHH) is an association, formed in 1968, of 109 non-profit medical centers, hospitals, nursing homes and their affiliated facilities in the greater New York metropolitan area. The League of Voluntary Hospitals and Homes of New York (LVHH) is an association, formed in 1968, of 90 non-profit medical centers, hospitals, nursing homes and their affiliated facilities in the greater New York metropolitan area. 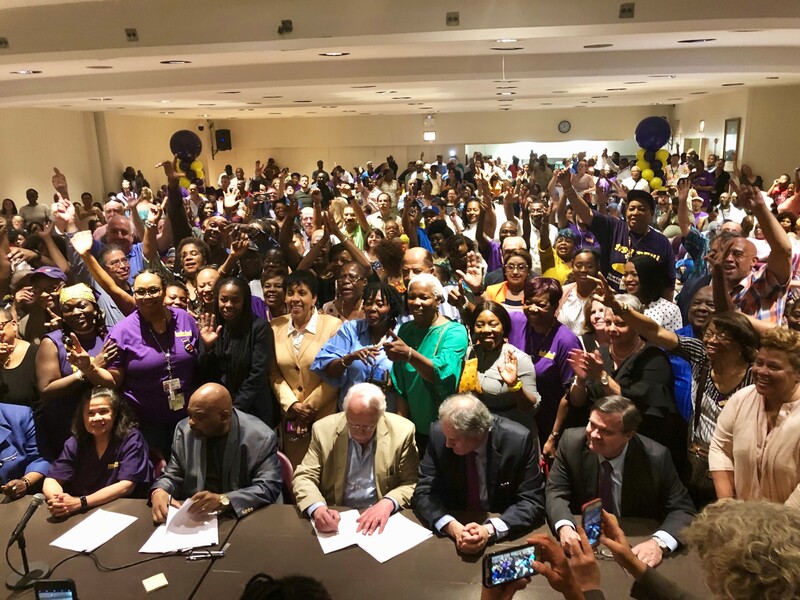 The League acts as the bargaining agent for its members in labor contracts and represents them primarily in the negotiations with 1199SEIU, United Healthcare Workers East. (For more information on 1199 SEIU, your can visit their website.) With a couple of exceptions, all members of the League are members of, or are eligible for membership in, the Greater New York Hospital Association, Inc. (GNYHA) whose website can be accessed for more information.